Taking inspiration from the world’s greatest classical composers, our Signature Design Team will work in close partnership with you to turn your dreams into a reality. We strive to make each and every pool we create a masterpiece, with an ensemble of features which work seamlessly together from the relaxing rhythm of the water in a lagoon-style pool to the swelling crescendo of one of our awe-inspiring waterfalls. Our Signature Design Team always go the extra mile to find out exactly what our clients want before taking time to draw up a unique design which not only meets their expectations but exceeds them. At Shehan Luxury Pools, we don’t believe in being ordinary. We have created breathtaking aquatic environments for some of the world’s most discriminating customers. Many of our award-winning designers have worked for Disney and Universal Studios to create the spectacular landscapes and environments found in their resorts. This is your chance to bring a touch of magic and wonder to your own home or business. 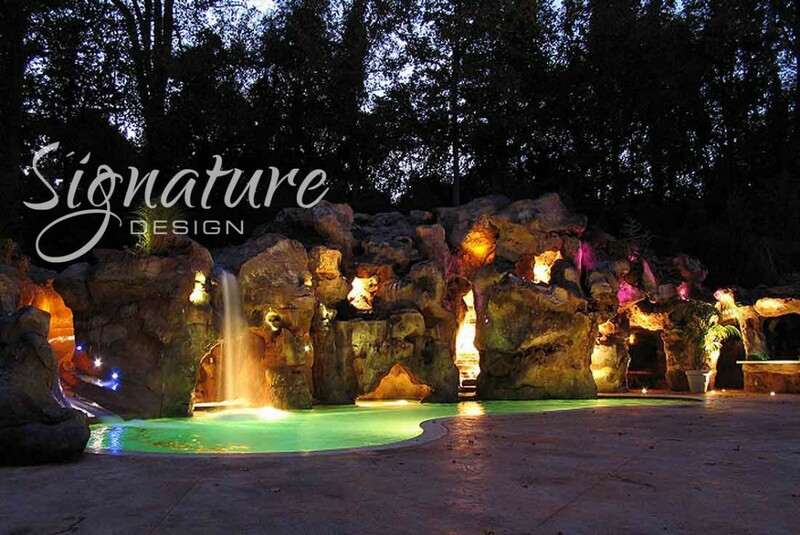 At Shehan Luxury Pools, we create bespoke pools and water features which work in harmony with their environment.